A manual for national and regional governmental staff and partners that focuses on how to design and implement a REDD+ Reference Level. 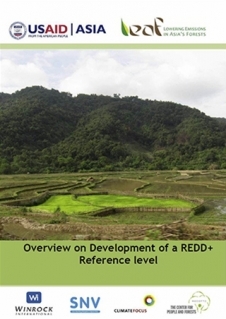 Also provides technical guidance for potential REDD+ project developers and implementers. Developed through USAID/Asia project Lowering Emissions in Asia’s Forests (USAID LEAF) technical reference level training held in Vietnam and Laos in late 2012.